Former Forum for Democratic Change (FDC) President Dr. Kizza Besigye proved he is ‘a people’s’ president at the just concluded Martyrs celebrations in Namugongo on Sunday June 3. Besigye’s popularity was demonstrated by the considerably bigger applause he received compared to that of President Yoweri Museveni, when the announcer mentioned the two leaders’ names. 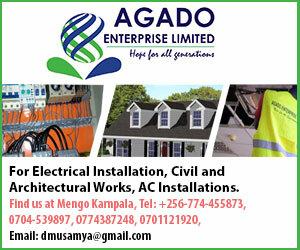 The duo attended the Church of Uganda’s celebrations at the Protestants’ site in Nakiyanja where the Kigezi Archdiocese was the main organizers of the Anglican events. While addressing pilgrims, President Museveni urged religious leaders to help Ugandans in fighting poverty. 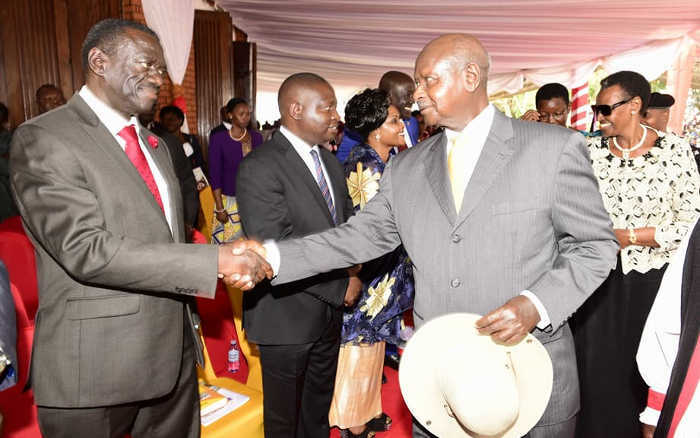 President Yoweri Museveni met with the former Forum for Democratic Change (FDC) president Dr. Kizza Besigye and former Prime Minister Amama Mbabazi and shook hands at Nakiyanja the Anglican Shrine during the Namugongo martyrs day celebrations yesterday.